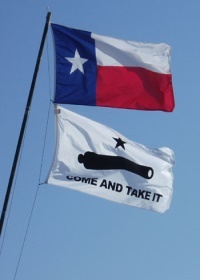 As NRA members begin to gather in Houston for the 2013 Annual Meeting, action is heating up in Austin on Second Amendment-related measures. Yesterday, the Texas Senate passed Senate Bill 1907, sponsored by state Senator Glenn Hegar (R-Katy), a measure that prohibits public and private colleges and universities from adopting or enforcing policies banning students who are Concealed Handgun Licensees (CHLs) from transporting and storing handguns and ammunition in their privately-owned motor vehicles while driving through or parking on campus. SB 1907 now goes to the Texas House for consideration. House Bill 47 by state Representative Dan Flynn (R-Van) and Senate Bill 864 by state Senator Donna Campbell (R-New Braunfels) reduces the minimum number of required classroom training hours for an original Concealed Handgun License from 10-15 to 6. This change would make it far more convenient for CHL applicants to obtain a license to carry and exercise their right to self-defense. House Bill 508 by state Representative Ryan Guillen (D-Rio Grande City) imposes civil fines on state agencies, cities or counties which improperly post 30.06 signs prohibiting Concealed Handgun Licensees from property which is not off-limits to them under the Texas Penal Code. It also gives the Texas Attorney General the ability to sue to collect the civil penalties if the offending agency or political subdivision fails to remove the sign after having been notified of a violation. House Bill 972 by state Representative Allen Fletcher (R-Cypress) has undergone significant revisions since being filed as the comprehensive campus carry bill this session. As introduced, it would have removed the statutory prohibition in Section 46.03 of the Penal Code on Concealed Handgun Licensees carrying handguns into buildings or portions of buildings on the campuses of public and private institutions of higher education. Additionally, it would have prohibited public colleges and universities from adopting administrative rules or regulations restricting CHLs’ ability to carry on campus. Private institutions could elect to “opt-out” and adopt such rules or regulations after consulting with faculty, staff and students. Please contact your state Representative and urge him or her to back amendments supported by the sponsor to return HB 972 to a form closer to its original intent. House Bill 1009 by state Representative Jason Villalba (R-Dallas) creates a new category of law enforcement called a “school marshal.” In order to become a school marshal, applicants would have to complete an intensive training program developed by the Texas Commission on Law Enforcement Officer Standards and Education (TCLEOSE). However, this program would also be open to any employee of a school district or open-enrollment charter school who has a CHL. The governing bodies of the institutions would decide whether to appoint marshals to certain schools. House Bill 1304 by state Representative Kenneth Sheets (R-Dallas) and Senate Bill 299 by state Senator Craig Estes (R-Wichita Falls) protect against charges of unlawful carry for the inadvertent or accidental display of a handgun by a Concealed Handgun Licensee. Please call and e-mail your state Representative and urge him or her to support these important NRA-backed bills. Contact information for your state House member can be found by clicking here. For a comprehensive list of all measures being considered by the state House this Saturday, please click here.